A polished Boherbue Rince Seit combination emerged Corkâs lone winners at the Munster ScÃ³r Sinsear Finals that attracted a bumper attendance to the Ãire Ãg Pavilion, Ovens. GAA clubs from across the province paraded their talents. 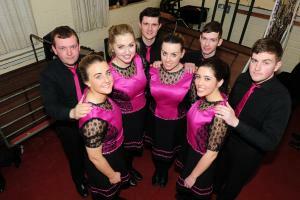 Boherbueâs Rince Seit team were popular winners. Elsewhere Tipperary dominated, Newport landed a double in addition to wins for Upperchurch / Drombane and J. K. Brackens. Kerry enjoyed success with victory for both the Glenflesk and Fossa clubs. Adding to the atmosphere were creditable performances by Corkâs Boherbue Figure Dancers; Freemount Music and Ballad Group; Bride Rovers LeiriÃº; Kilbrinâs Una Cremin in Solo Singing and John OâSullivan (St. Johnâs) in Recitation.